If owning as many extravagant properties as possible is the American dream, then President Donald Trump is living it in leaps and bounds. Cutting his teeth in real estate before moving into the White House, Trump is worth a reported $3.1 billion. That kind of money pays for a lot of dream houses in a lot of dream vacation destinations. Why pay for a room when you can afford to buy the hotel? From houses in Florida to New York and even California, the luxurious homes of Trump and his family, past and present, will leave you wide-eyed with jealousy. 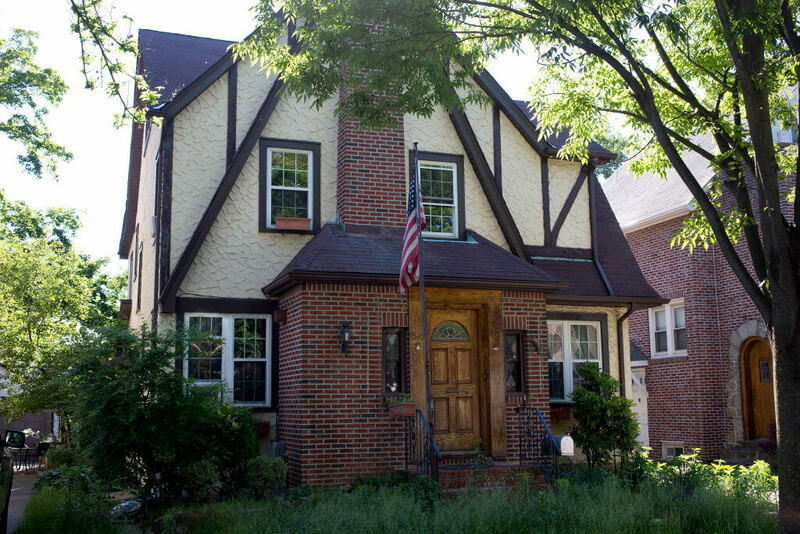 You can actually rent out Donald Trump’s childhood home but it’s NOT cheap. Donald Trump purchased the Seven Springs estate in 1996. Located in Bedford, New York, the property has 60 rooms, 15 of which are bedrooms. There are also three pools, so if you prefer to swim alone instead of with a crowd, you have options. When Trump purchased the property for $7.5 million, he planned to turn it into a golf course. He eventually changed his mind and now uses it as a retreat from the White House to relax. Onsite activities include the private swimming pools, as well as hiking, ATV riding, and fishing. It might technically be a golf club, but Trump and his family own several cottages here, as well as the property itself. During his time in office, the president has taken several trips to his New Jersey home to play golf or go swimming. If you want to live like Trump and stay at the club, membership costs $350,000 a year. The benefits include access to the course, a pool, poolside dining, basketball courts, tennis courts, a helipad, a fitness center, and giant hot tubs. Once you’re there, why would you ever want to leave? Next, the amount of gold in Trump Tower is no laughing matter! The Trump family’s opulent penthouse in Trump Tower was inspired by France’s Louis XIV. Located in New York City, the home has gold and marble decor, lavish furniture, a view of Central Park, and awe-inspiring chandeliers. Before 2016, Trump Tower wasn’t just Trump’s home, it was also his office. The three-story penthouse includes a private elevator to take Trump anywhere in the building he desires. If he ever decided to sell the penthouse, market analysts believe it would fetch the Commander In Chief over $100 million. 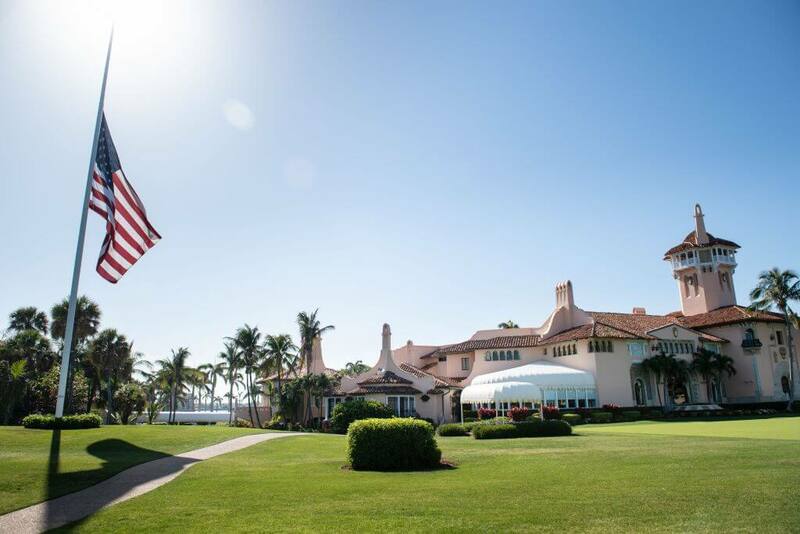 The first estate on our list to be located in Florida, Mar-A-Lago has become Trump’s favorite home to visit during his time as President. He’s not using the home to escape his presidential duties, however. In 2018, for instance, he invited the Prime Minister of Japan to Mar-A-Lago to hold a summit. To become a member at Mar-A-Lago and maybe run into Donald Trump, you’ll need to empty your bank account. The initiation fee costs $200,000. The annual fee that follows is $14,000 a year. 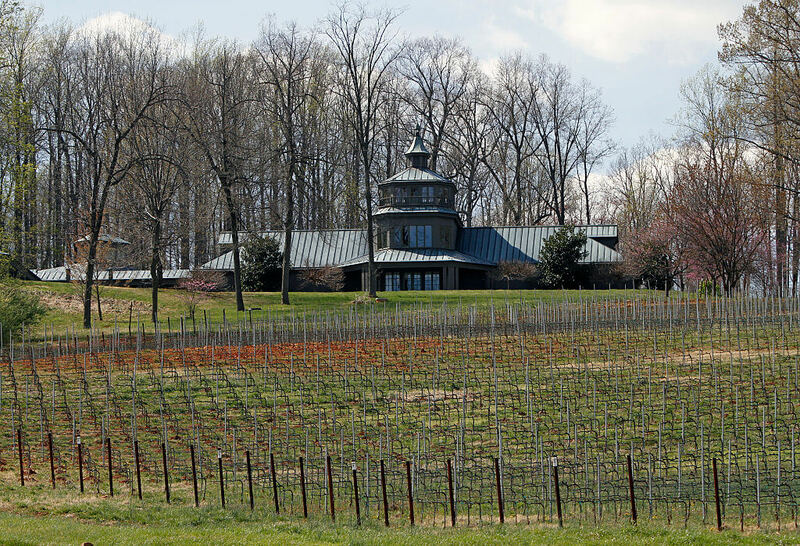 Up next, Trump Winery was bought at a bargain price and is now worth a fortune. During the housing market collapse of 2006, Patricia Kluge fell into an awful debt and sold her winery to Donald Trump for $8.5 million. A few years before that, the entire property had been valued at around $73 million. Analysts say that if Trump sold the property today, he could get close to $200 million. Because Donald Trump cannot associate himself with the winery as President, his son Eric officially owns and operates the estate. Patricia lives onsite and works as the general manager. Located in the Caribbean, Le Château des Palmiers was bought by Donald Trump in 2013 to be his island getaway. The estate houses two villas, tennis courts, billiards, an estate manager’s quarters, and an outdoor bar. Located on the beach at Plum Bay, the views from the villas are unbeatable. Shortly after buying the estate, Trump changed his mind and put it back on the market. While it’s waiting to be sold today, it is available to rent. If you were interested in owning Le Château des Palmiers, it’s listed at $16.9 million. Still ahead, the childhood home of Trump is available to rent! Tiffany Trump is Donald Trump’s daughter from his marriage to Marlas Maples. 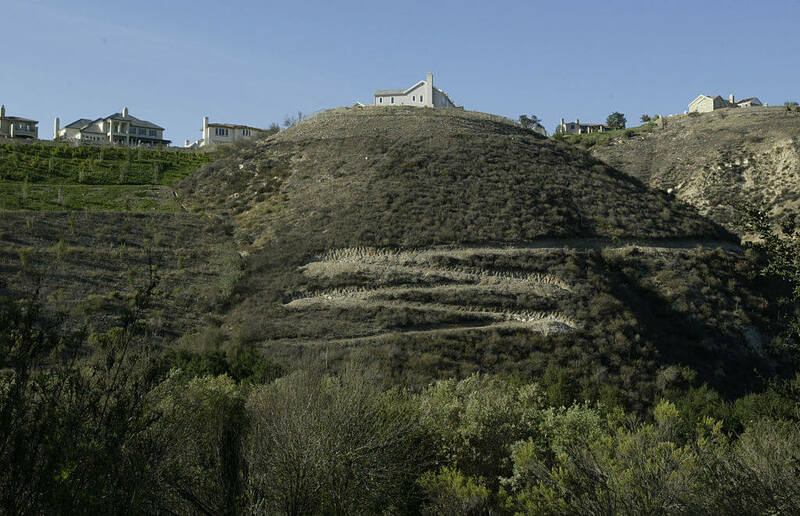 After divorcing, Tiffany and Marla moved into a mansion in Calabasas, California. As if the beautiful Southern California location weren’t enough, Tiffany also had access to a water slide whenever she wanted. How do we sign up for that life? In 2013, Tiffany Trump moved to New York City to pursue a career in singing. Marla Maples sold the house for $2.2 million. Tiffany might not live in a home with a “custom pool with built-in water slide and cascading spa,” but if you follow her Instagram you know she’s doing just fine. Donald Trump Jr. wasn’t happy owning one apartment in The Sovereign in Manhattan. To solve his problem, he bought the unit next to his and combined them. Still feeling he lacked space, he bought a third adjacent unit and incorporated it, creating a massive home with dramatic views of the island. All in all, it took Trump Jr. five years to create the perfect home for his family. Included in the overall package are the previously mentioned views, a 24-hour engineering staff, and a bicycle room for personal fitness at all times of the day. Just around the bend, find out where Eric Trump is living. You won’t be disappointed! Eric Trump owns two homes, one in Westchester, and the Trump Parc East, located in the heart of New York. Bought in 2007 for $2.1 million, the complex offers “high ceilings, large windows, hardwood floors, wood-burning fireplaces,” as well as views as far as the eyes can see. The 38-story building was originally built as a hotel and performance center. During the ’70s it struggled to earn a profit and was bought by Donald Trump in the ’80s. He converted the rooms into condominiums. We hope Donald gave Eric a discount when he sold him his unit! Coming up: what was Melania’s childhood home like? 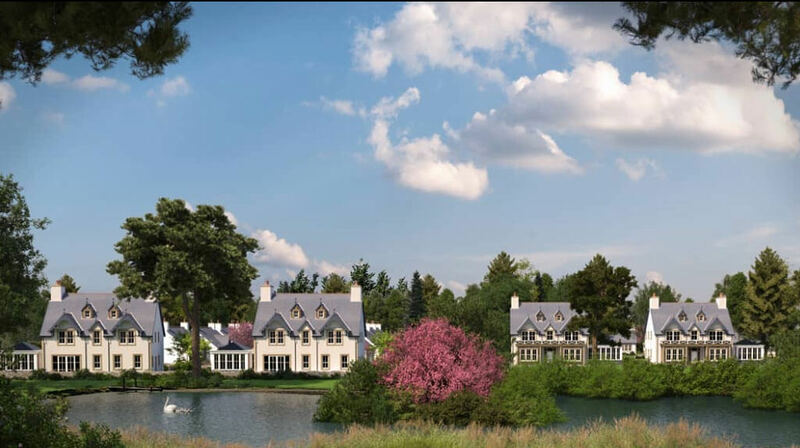 In the early 1980s, Trump and his then-wife Ivana purchased a swanky estate on a peninsula in Greenwich, Connecticut (which they sold in 1992). The power couple only paid $4 million for it back then. In 2018, the house went back on the market. Its current asking price? $45 million. No wonder: the lavish property features indoor and outdoor pools, a dock, a putting green, tennis courts, and beautiful water views of Long Island Sound. The house itself is nearly 20,000 square feet and has ten bathrooms, home theater, and (of course) some gold accents. 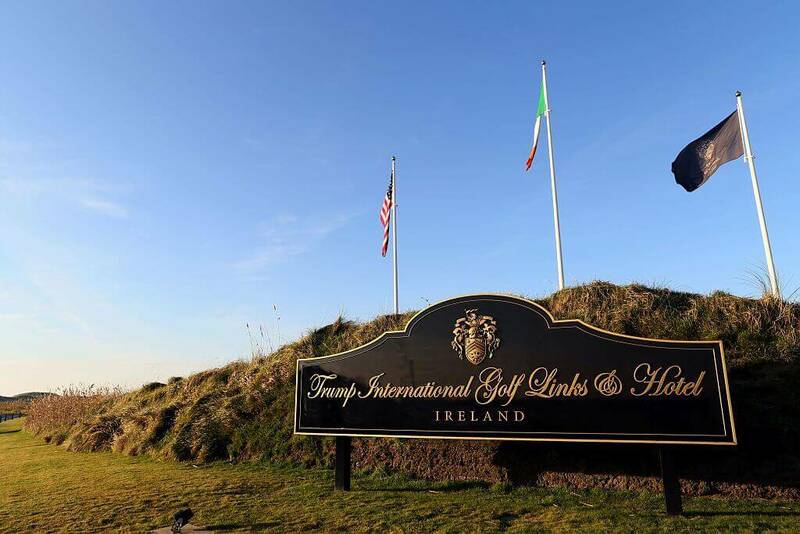 Donald Trump absolutely loves Scotland, which is quite clear considering that he owns not one, but two, golf resorts in the United Kingdom’s northernmost country. The latest one the Trump Organization purchased is located in Aberdeenshire, and it cost a whopping $1.3 billion. Members of the club have access to luxury amenities like helipads, golf lessons, a variety of 5-star restaurants to dine in, and offsite activities such as castle tours and skiing. In 2018 the Trump Organization announced that it planned to spend $200 million in expansions to the resort and golf courses. Trump’s lavish properties extend to aircraft too. Beyond his presidential access to Air Force One and Marine One, Trump owns a private jet. 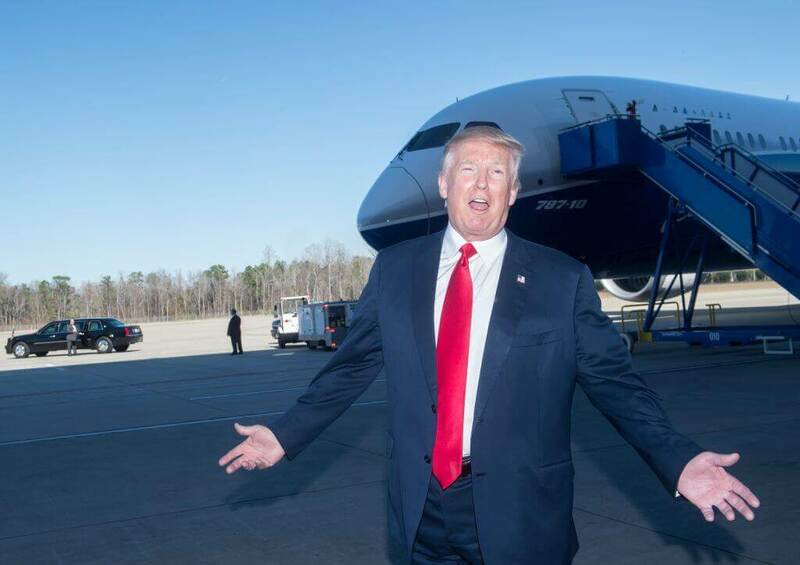 Called Trump Force One, this is no ordinary plane. The current incarnation of Trump Force One is a Boeing 757, which replaced a Boeing 727 in 2011. 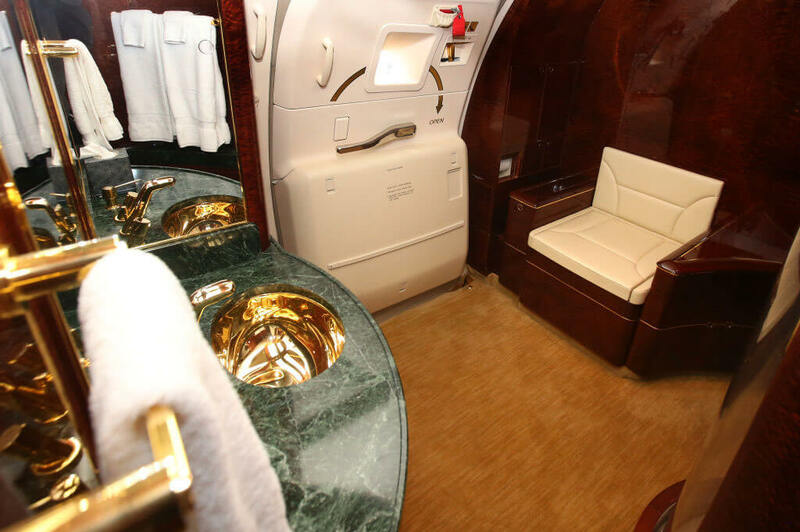 Trump’s personal jet reportedly cost $100 million and it’s as luxurious as you’d expect. The master bedroom (one of two on board) is silk-lined. Nearly every fixture is 24 karat gold. Every seat on the plane, which holds up to 42 passengers, has a personal entertainment system and converts to a bed. 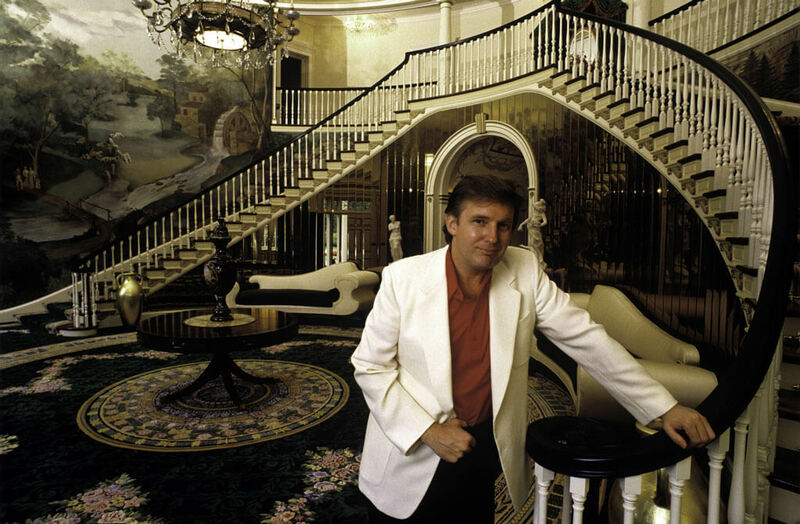 As a young boy, Donald Trump grew up in a relatively humble 2,500 square foot residence in Queens, New York. His father built the five-bedroom house in 1940, and it’s still standing today. Of course, it’s no longer owned by the Trump family, although it’s still rich in their history. The new owners of Donald Trump’s childhood home understand the value of history. On Airbnb, the home is listed for $725 a night. While that may seem like a gaudy number to some, it’s a bargain for any history buffs looking to relive the past in the present. 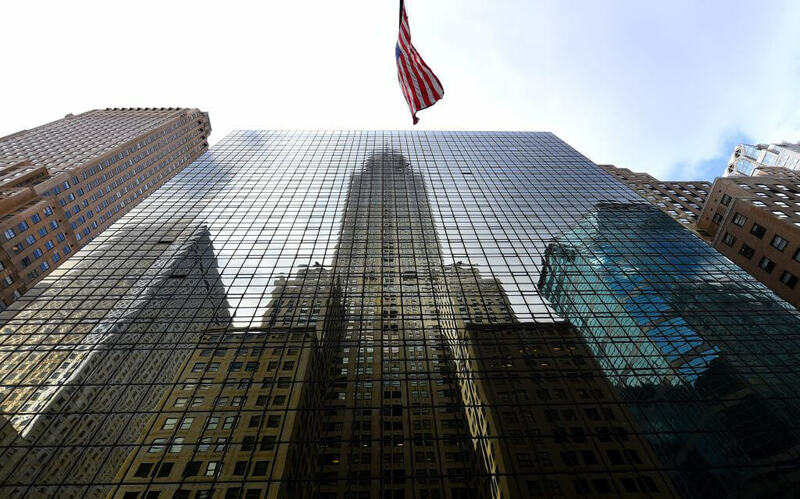 Yes it’s true, New York native Donald Trump once owned fifty percent of the iconic Empire State Building. He and a business partner purchased part of the building in 1994. They tried to take control of the building, and attempted to evict the master leaseholder. The real state struggle made major news, as Trump tried to show his power in the market. President of real estate firm Colliers International, Michael Cohen told NPR, “It was kind of like one member of New York real estate royalty taking on another member. It was something I had never seen happen before and haven’t seen happen since.” He gave up and sold it. Donald Trump owns a home in posh Beverly Hills (on Rodeo Drive, no less), but is said to visit it infrequently. In fact, he’s said to prefer staying at the Beverly Hills Hotel when he’s in town.We wonder why! 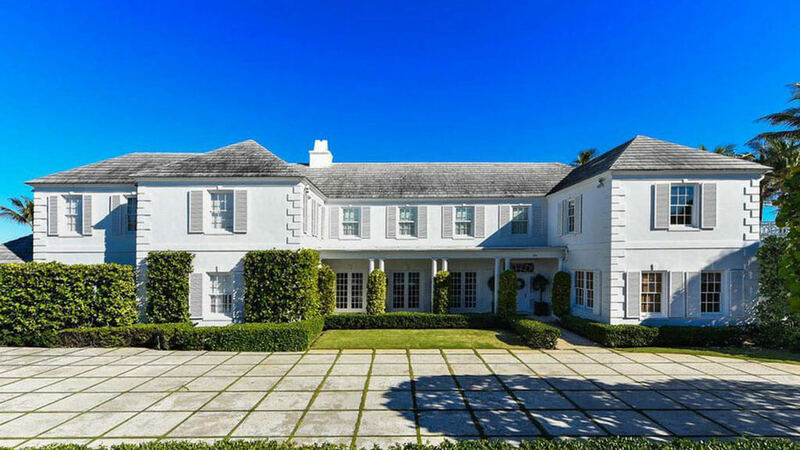 This 10,400 square foot mansion was designed by celebrity architect Richard Landry in 1981. When Trump does visit the home, he has access to a pool, tennis and basketball courts, bathrooms with natural lighting, marble from Greece, and granite from Brazil. There’s also an elevator and a separate kitchen just for spices. Let’s hope he likes to cook. In 1998, the Trump Organization made a deal with Conseco to purchase the General Motors Building at Trump International Plaza for $878 million. 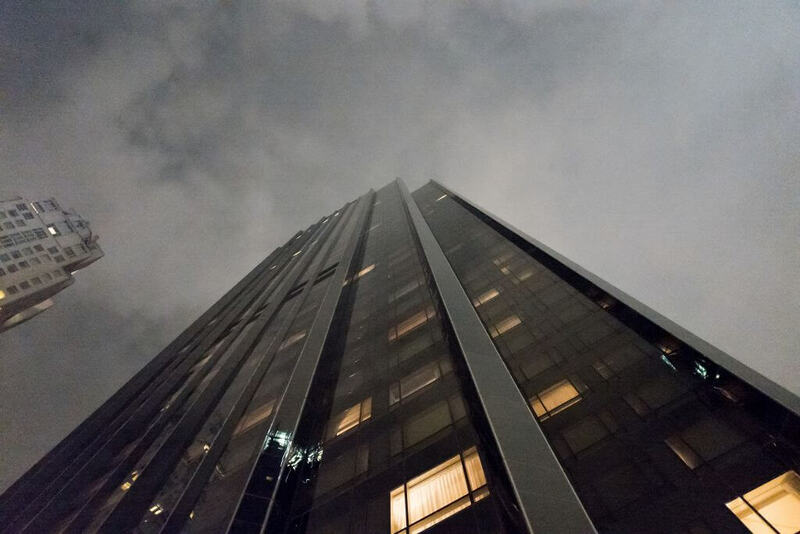 The building stands 50 stories high, at 705 feet. 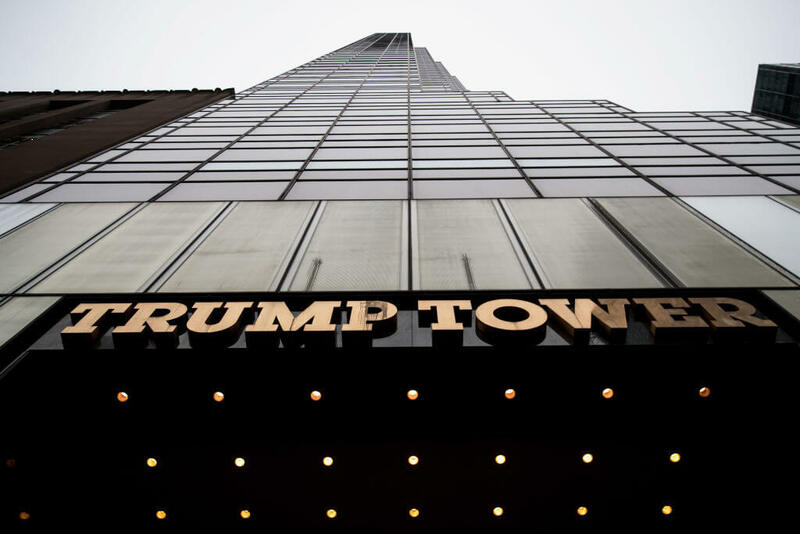 Trump installed his name in four-foot gold lettering outside the building. Located on the prestigious Fifth Avenue in Manhattan, it’s one of the few buildings in New York City that make up an entire city block. 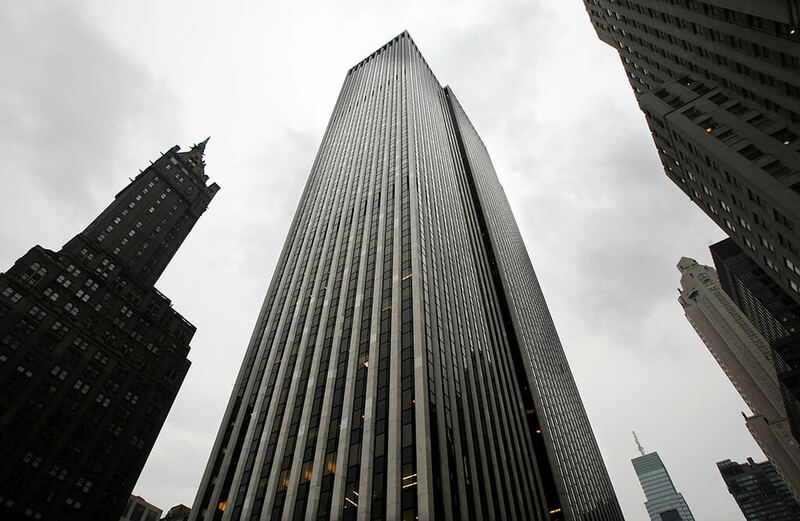 Trump sold the building in 2003, which now has a valued worth of around $3.4 billion. The Commodore Hotel in New York was one of Trump’s longest owned properties. The Trump Organization partnered with Hyatt and acquired the building and owned it for sixteen years from 1980-1996. The historic hotel was Donald’s first construction project in Manhattan. 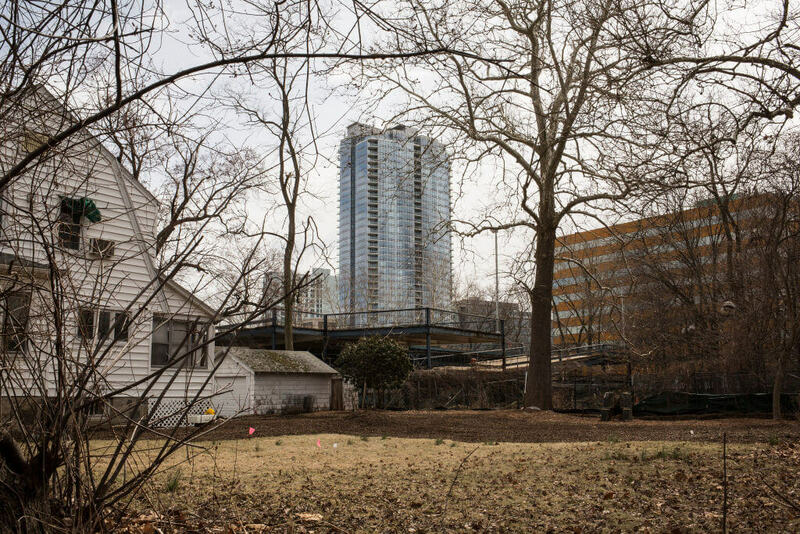 He didn’t have the $250,000 that he offered to purchase the hotel, though, so his father reached out to the deputy mayor, who approved a 40-year tax abatement on the property worth $400 million. Trump and the Hyatt gave the exterior of the building a modern look, and renovated the inside. It was sold in 1996. In the mood for something more tropical? When Trump is, he can always pay a visit to his property in Hawaii. Trump International Hotel Waikiki is located on Honolulu. To construct the resort, Trump first had to demolish the Royal Islander and Reef Lanai hotels that stood in its place. Construction was completed in 2009. Benefits of owning a unit here include access to The Spa at Trump, a bar, restaurant, fitness center, library, and cafe — not to mention those beautiful views. You’d never need to leave. 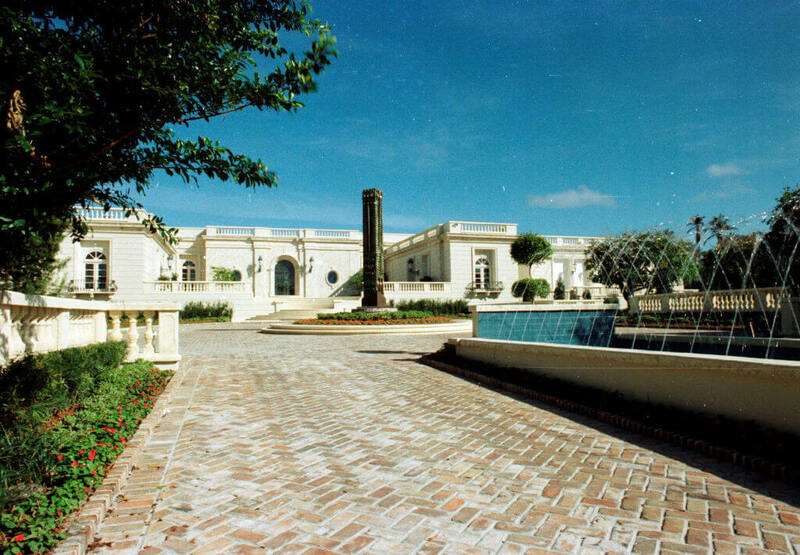 The Maison de L’Amitie, which translates to “house of friendship,” was an estate in Palm Beach, Florida. The property included a French, neoclassical palace, three other 7,594 square feet buildings, a barn, and two guesthouses. In all, there were 18 bedrooms, 22 bathrooms, a ballroom, media room, art gallery, and a 50-car garage. Although the estate appeared extravagant, the construction was flawed and cheap, with painted gold instead of real gold, and dangerously thin windows in case of a hurricane. Trump bought the estate in 2005 for $41.35 million and sold it to Russian billionaire Dmitry Rybolovlev for $95 million in 2008. However, he never moved in, and the “house of friendship” was demolished in 2016. If you’re going to mix business with pleasure, this looks like a pretty nice place to do so. 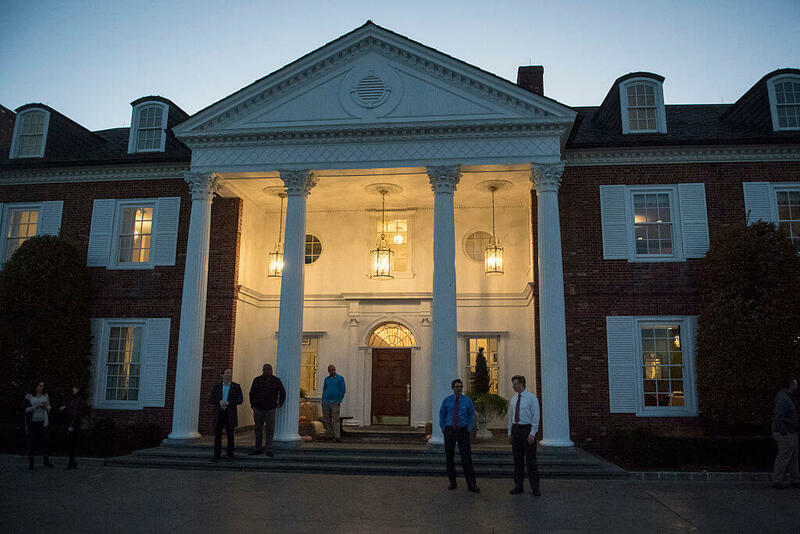 Trump’s Bedminster golf club, located in New Jersey, has been used to host weekend meetings there (one of which is pictured above). The president also enjoys the golf course when he’s visiting, of course. The Trump family loves this property so much that Ivanka Trump and Jared Kushner got married there in 2009. Trump used to say he wanted to be buried there when he passes away but changed his mind to Florida later. 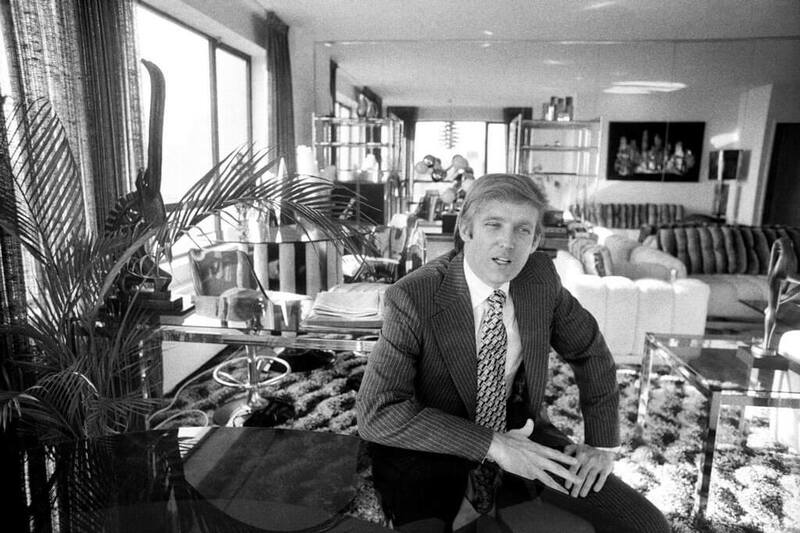 During part of the 1970s, Donald Trump lived in a luxury Manhattan penthouse in The Phoenix building. 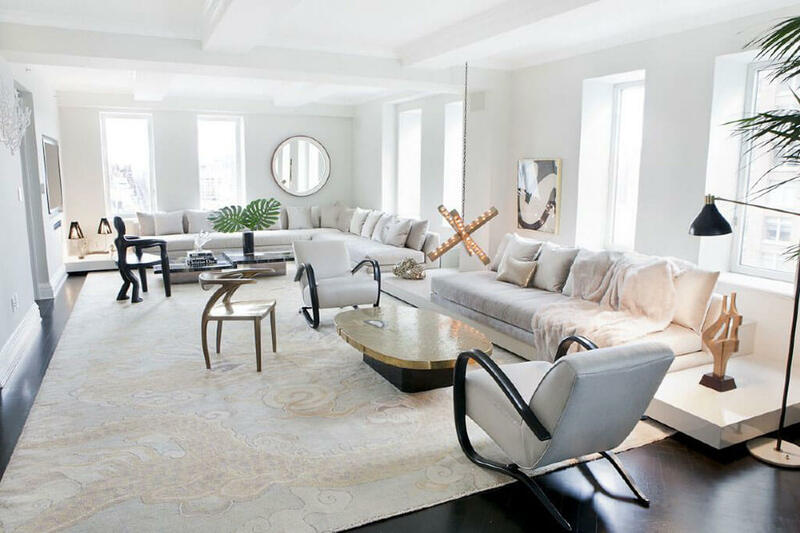 The space had sweeping views of Central Park West and was designed by the famed architecture firm Emery Roth. According to reports, Trump chose to decorate the Phoenix apartment in brown, beige, and chrome. 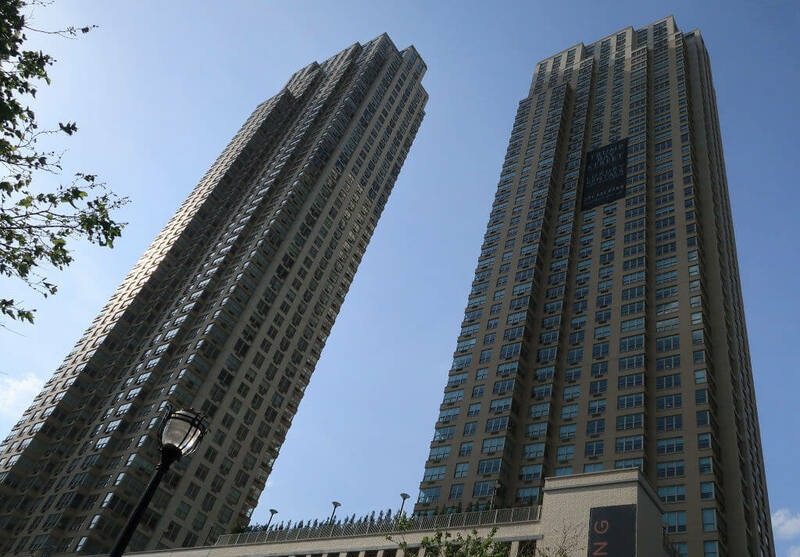 Today, units in the building sell for more than $1 million. The Adelaide Hotel in Toronto is the third tallest skyscraper in Canada at 65 stories tall, located in the Financial District on Bay Street. When he decided to build it, he found out Developer Harry Stinson was aiming to build the tallest mixed-use building in Canada. Soon they were adjusting their plans to outdo one another. 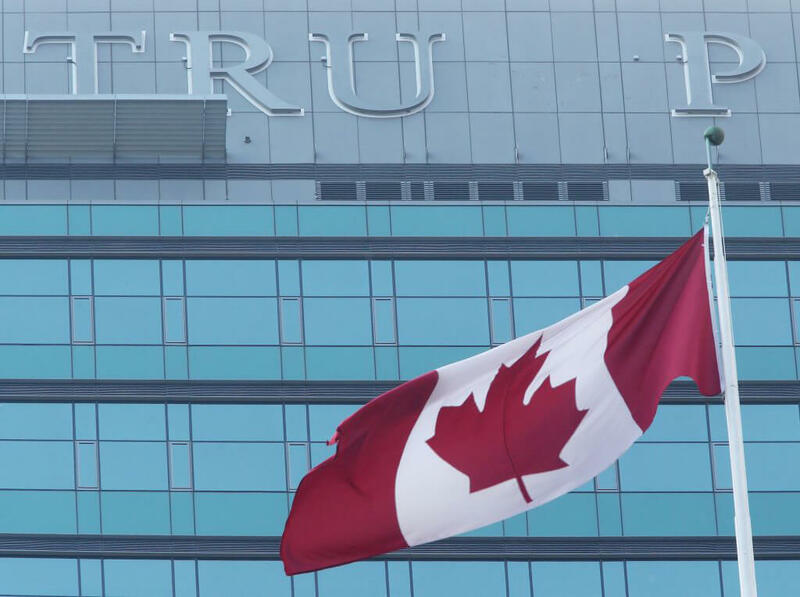 The City of Toronto didn’t like that this enormous building was owned by an American real estate mogul, which he named Trump International Hotel and Tower Toronto. When he became the president of the United States and ordered the travel ban targeting Muslim countries, the Canadian government decided to take his name off the building and sell it. The ‘M’ went first. Before they moved to Washington, D.C., Ivanka Trump and Jared Kushner were Manhattanites. They resided in a starter two-bedroom apartment on Trump Park Avenue. Trump purchased the home for $1.5 million in 2004 and listed it for $4.1 million in 2017. The building and 1,549-square-foot apartment have all the amenities you’d expect from that price point. There’s an on-site gym, concierge, parquet floors, state-of-the-art kitchen. It must have been tough to leave this posh apartment! 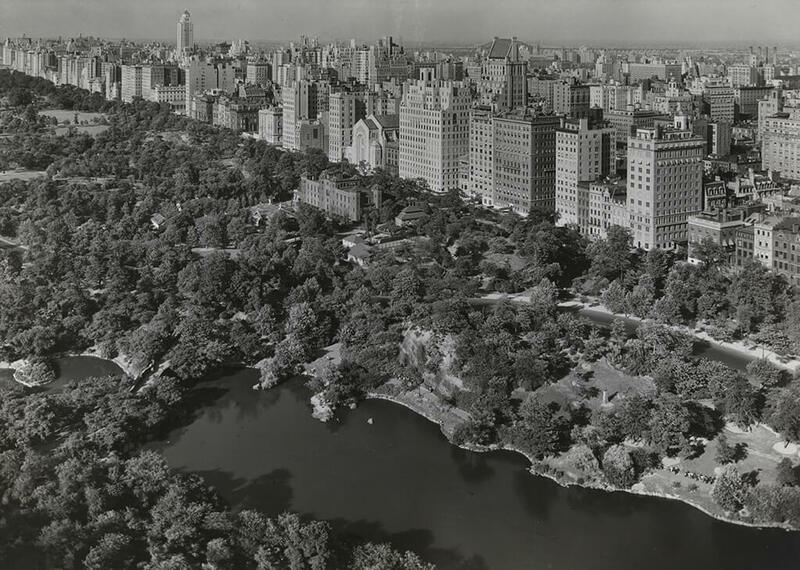 Overlooking the famous Central Park, Trump bought the Hotel St. Mortiz in 1988. It was the original location of the New York Athletic Club, designed and built in 1930. The building includes 775 hotel rooms and claims to have the first sidewalk restaurant in New York City. Trump purchased the building in 1985 for $72 million, and sold in 1988 for $180 million. The building is now The Ritz-Carlton New York, Central Park, and features decadent interior design and incredible views and breezes from the park. Trump’s older sister, Maryanne Trump Barry, lived in a gorgeous waterfront Palm Beach home right next door to Mar-A-Lago until just recently. The purchasers were none other than Donald Trump, Jr. and his brother Eric. Apparently, it’s important for this family to stay close together! And what a great place to spend quality time. The purchase price on the 10,455 square foot estate was $18.5 million. There are five bedrooms, eight bathrooms, and three half-bathrooms. 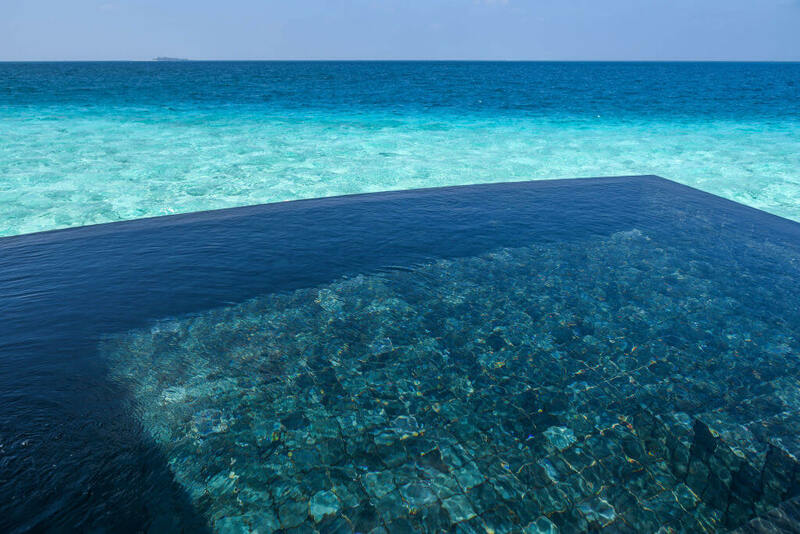 Of course, there’s a pool facing the Atlantic Ocean. And you can’t top the neighbors! 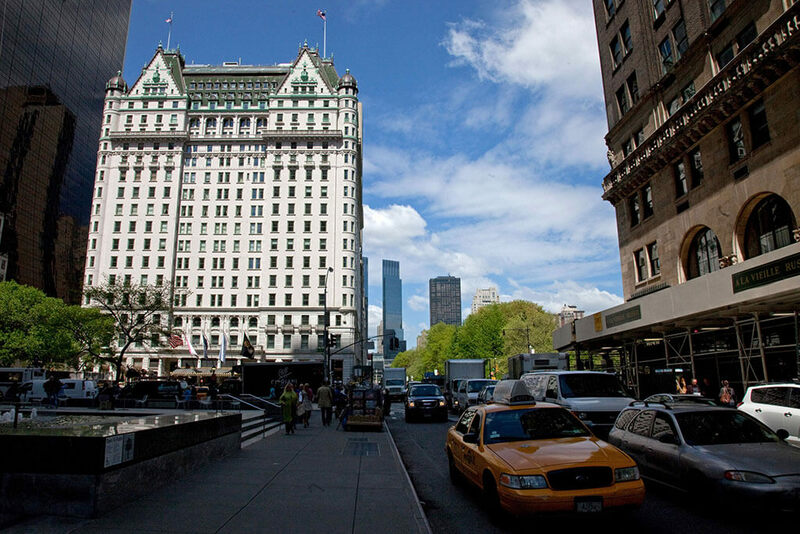 Located in Midtown Manhattan, the Plaza Hotel is a 20-story luxury hotel. 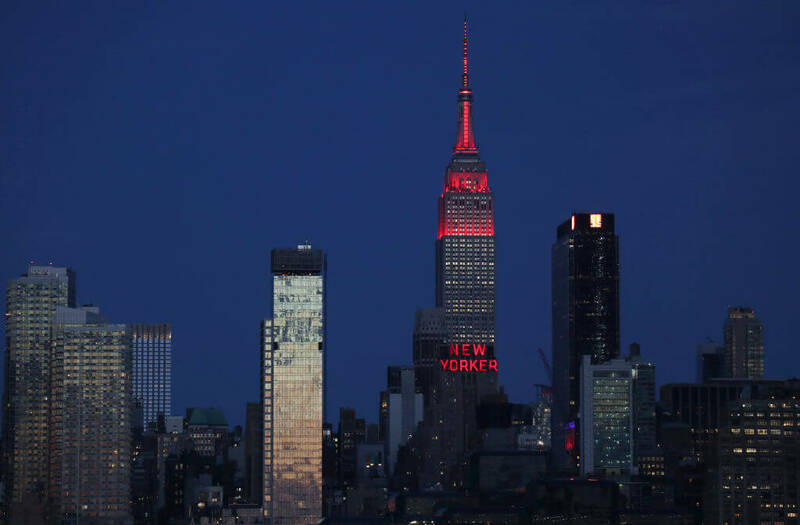 Originally opened in 1907, the building is a New York City landmark and 250 feet tall. It faces the Grand Army Plaza and sits on Central Park South. 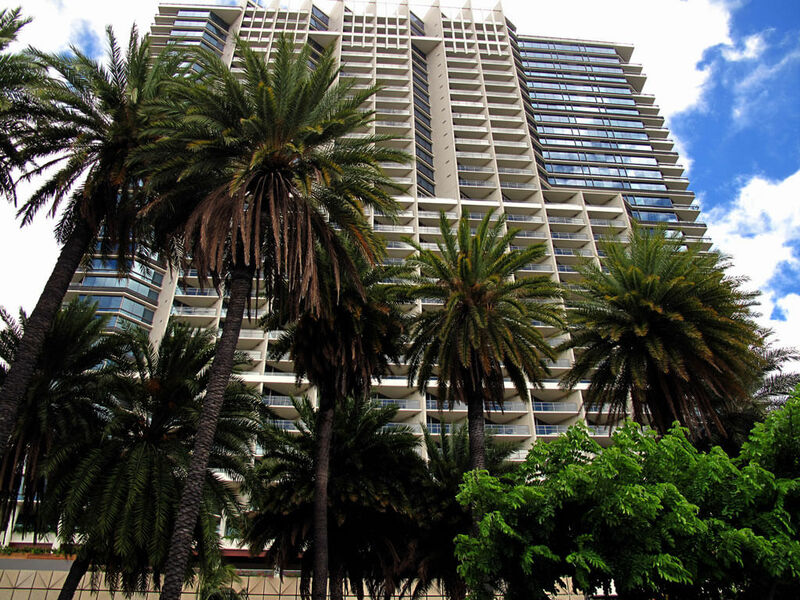 Once owned by Conrad Hilton, the property exchanged several hands before Donald Trump purchased it in 1988 for $390 million. He wrote a letter to the New York Times, saying, “I haven’t purchased a building, I have purchased a masterpiece – the Mona Lisa. For the first time in my life, I have knowingly made a deal that was not economic – for I can never justify the price I paid, no matter how successful the Plaza becomes.” Trump racked up $250 million in debt on the property, lost 49 percent stake and then sold the rest. The former Mrs. Donald Trump is one stylish woman, and her homes match her personality. 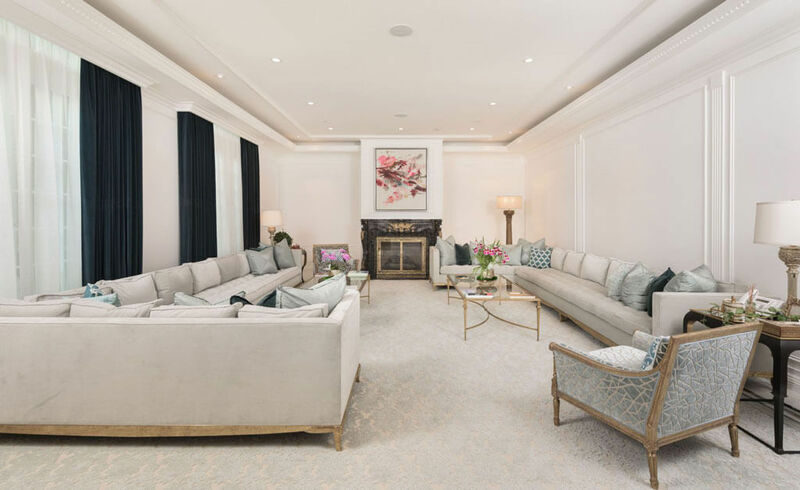 After Donald and Ivana split up, she bought this townhome in the Upper East Side of Manhattan. The unit features a fireplace in every room, painstakingly-restored Chinese murals on the wall in the master bedroom, and a private gym. Oh, and there’s also a leopard room. In an interview with People magazine, Trump said, “In each of my homes I have a leopard room.” Of course she does! Located in Jersey City, New Jersey, Trump Bay Street is a 50-story luxury apartment tower that Donald Trump named after himself. He had plans to make a second twin tower, but the $225 million project was delayed. Again, Trump received a tax abatement for five years from the city. Trump then sold the building, and the plans to create a twin tower, to his son-in-law’s company, Kushner Companies. They partnered with Chinese investors for $50 million and began construction in 2014. There was one incident where a falling concrete block hit a police officer, but the building finally opened in 2016. As we’ve seen, Trump has his choice of locations all over the world he can visit anytime. Another of those places is Las Vegas, Nevada, otherwise known as “Sin City.” Trump International Hotel Las Vegas is a 64-story luxury condominium building and hotel located right off the Vegas Strip. The hotel was supposed to have two towers, but Trump opted not to construct the second one after the recession of the mid-2000s. The hotel cost roughly $500 million to construct. The groundbreaking ceremony, depicted above, took place on July 12, 2005. Not in Hollywood, California, but rather Hollywood, Florida, is Trump Hollywood, 200 units of condominiums in a 41-story tower. Trump announced plans to build the luxury condo building in 2006 and started construction in 2007. The building opened in 2009, and was foreclosed in 2010. The units overlook a beautiful Florida beach and span from 2,000-5,000 square feet. The Related Group owns the building now, which features oceanfront cabanas, tennis courts, and 24-hour concierge services. Sitting between South Beach and Fort Lauderdale, the apartments are advertised to people who want to live in luxury and also conduct business. 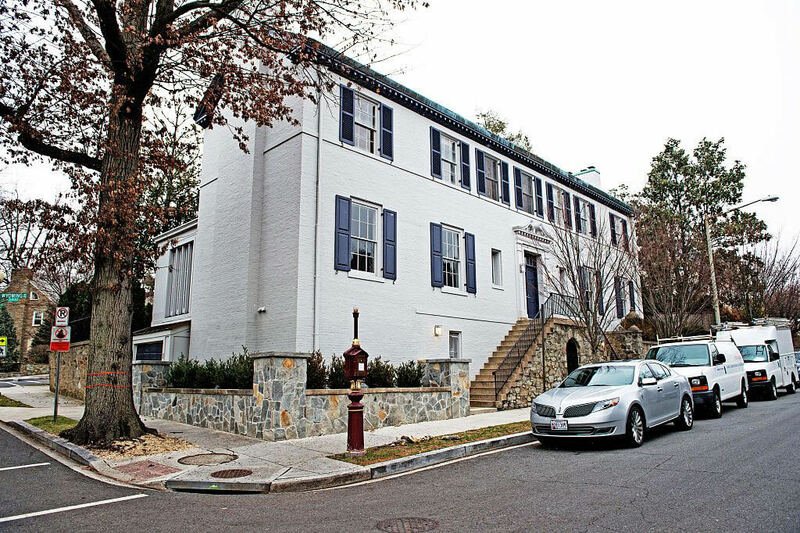 When First Daughter Ivanka Trump and her husband Jared Kushner moved from NYC to the Kalorama neighborhood of Washington D.C., they rented this house. Located on Tracy place, the posh pad is located just around the corner from the Obamas’ new residence. Rent is said to be $15,000 a month. Ivanka and Jared’s new home, originally built in 1923, has six bedrooms in its 6,870 square feet. There are five wood-burning fireplaces, a master suite with plenty of closet space, a soaking tub, and a deck that overlooks the garden. The home also has a large sunroom and a nice backyard. Although this house is quite modest compared to her husband’s real estate holdings, Melania’s childhood home is pretty nice. Then Melania Knauss, the current First Lady grew up in the small town of Sevnica, Slovenia. 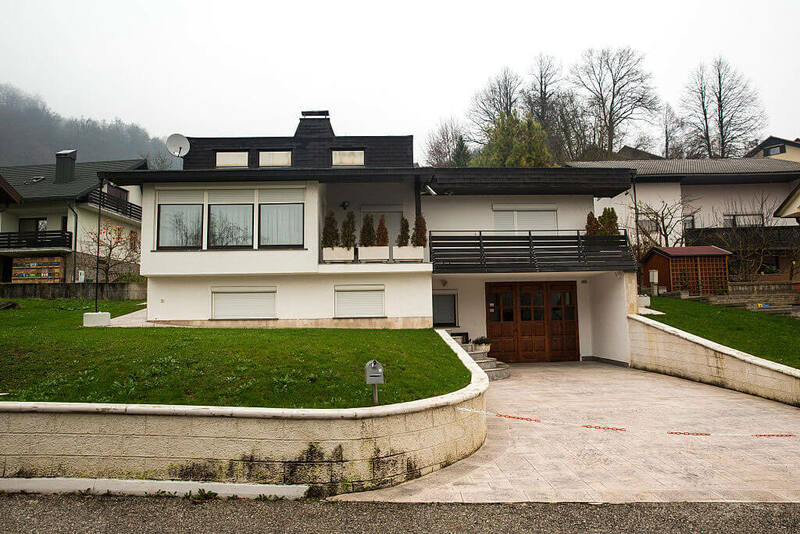 Melania lived here with her family until she relocated to Slovenia’s capital, Ljubljana, to attend school. The Knauss home pictured here was a step up for the family, which had previously lived in an apartment block. And Melania kept stepping it up, all the way to the White House! Marla Maples, Donald Trump’s second wife, has had a few homes throughout her life. The one pictured here is a luxury condominium, which she lived in in the years around 1990. 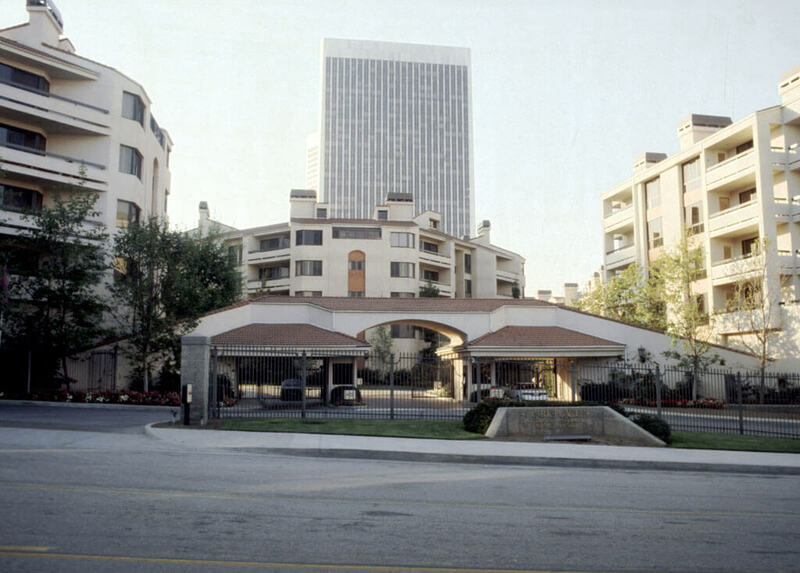 The building is the Park Place Condominiums, located in Century City, California. The community’s website says that amenities include fireplaces, a gym, three spas, three pools, clubhouse, beautifully maintained gardens, and tennis courts for residents. It also claims that the condos are “home to celebrities and royalty alike.” Sounds like the perfect place to live! 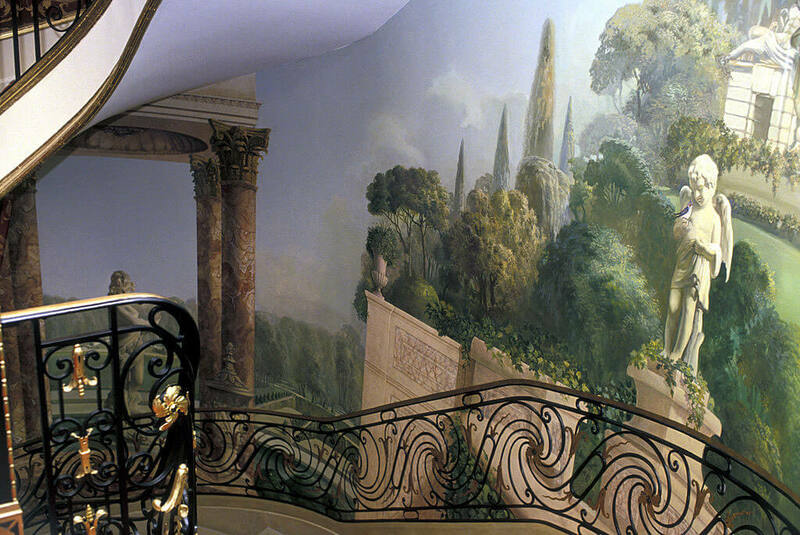 We’ve gotten one glimpse into the posh Manhattan townhome that Ivana Trump lives in. Here’s another photo, one that shows the level of detail that went into the home’s elaborate decor. When she initially purchased the townhome, many of the murals were badly damaged. They were each restored by artists who were specifically recommended by the Metropolitan Museum of Art. Wow, she sure has some contacts in the art world, as we’d expect any Trump would. Next: a feature of Ivana’s home that will be appreciated by anyone who’s ever lived through a northern winter! 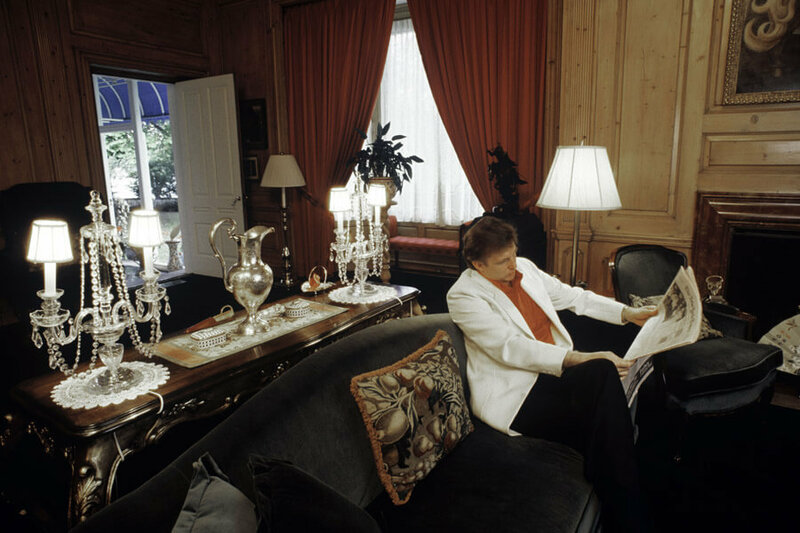 In a 2009 People magazine feature about her home, Ivana revealed a luxury that most of us can only dream of. “I have a fireplace in every room,” she confided. That’s a perfect amenity in any New York home. 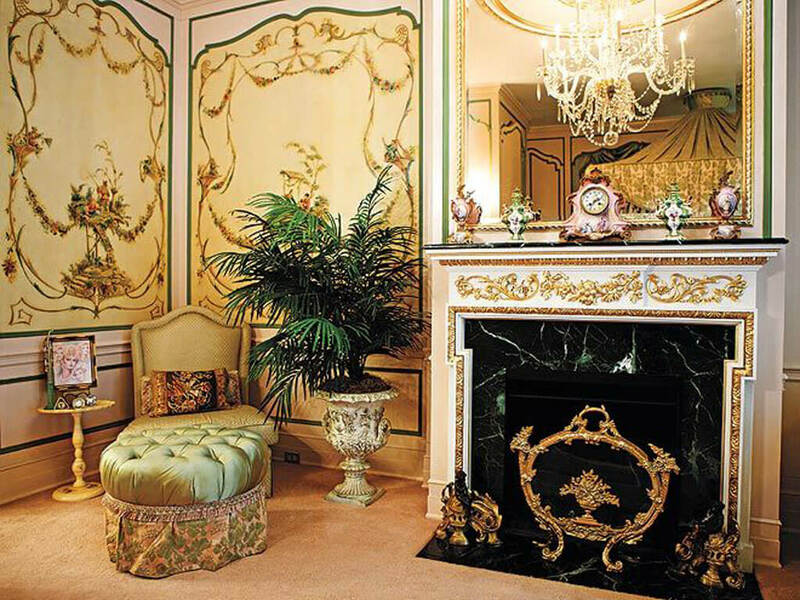 Another glamorous feature of Ivana’s townhome is her elaborate dressing room. This fashionista doesn’t get dressed unless it’s in a gold-wallpapered room with crystal chandeliers and a massive array of clothing and jewelry to choose from! This particular photo was taken in 1994. We’ve seen how wealthy Trump is, and his family members’ homes also illustrate his great fortune. How did he amass all that wealth? It turns out that he has a lot of business adventures you might not even know about… for example he owned a football team at one point! Read on to learn about some of his other business ventures. 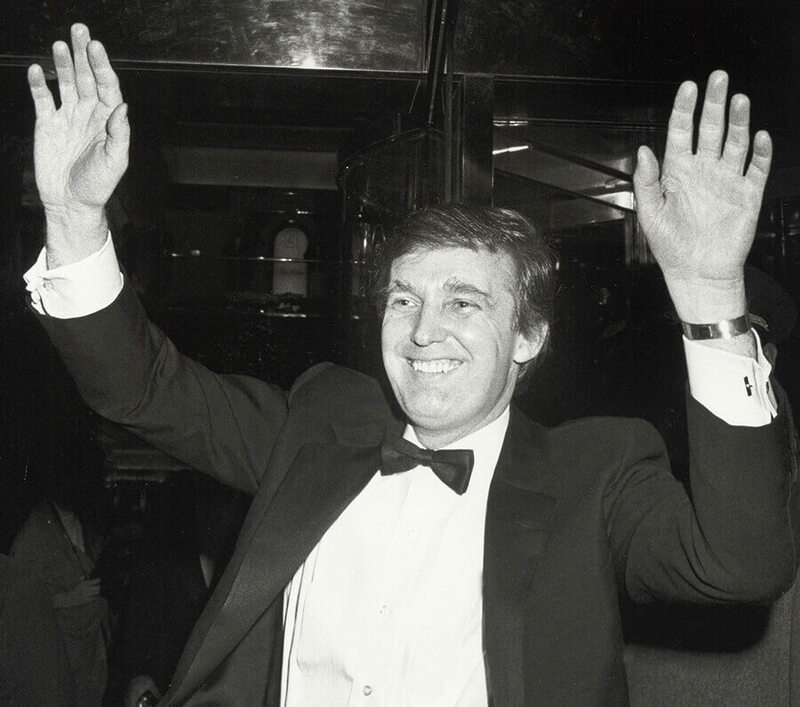 In 1970, Trump was 23-years-old and a recent graduate of Wharton. His father, a real estate developer, gave him some money, and he spontaneously decided to visit Broadway producer David Black. He asked Black about the theater business and offered to finance his next play if he got equal billing in Playbill. Trump invested $70,000 in the project and became the co-producer of the Broadway comedy Paris Is Out!, starring Molly Picon. It was a commercial flop and was Trump’s only credit on Broadway. Later, there were rumblings about making a show about Trump’s life, but they never transpired. 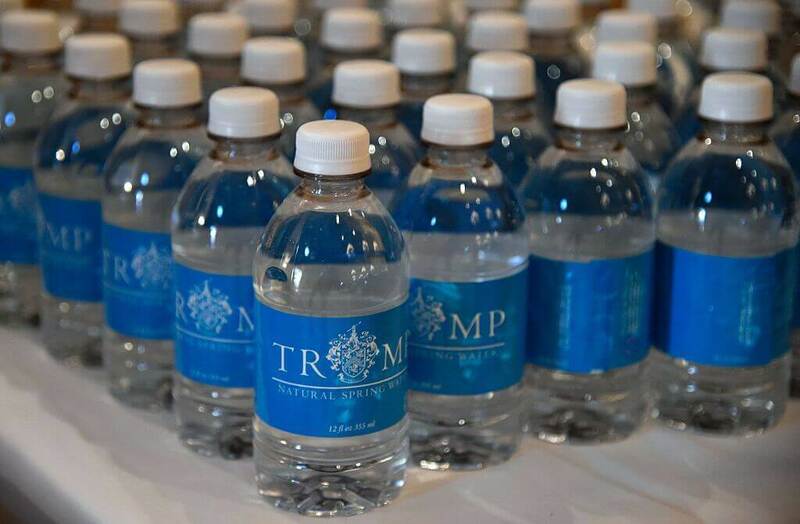 Mountain Spring Water distributed Trump Ice, which was featured on season one of The Apprentice. The contestants were tasked with marketing and selling the bottled water during one of the challenges. Season two winner Kelly Perdew was executive vice president of Trump Ice before the brand was discontinued. 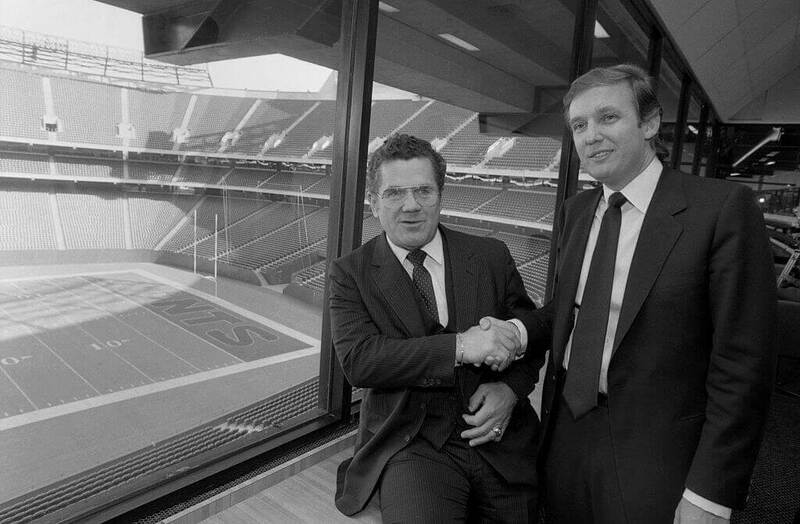 Trump bought the New Jersey Generals football team in 1983. He hired former New York Jets coach Walt Michaels, and in 1985 signed Heisman Trophy-winning quarterback Doug Flutie with a $7 million, 5-year contract, making the athlete the highest-paid pro football player and the highest-paid rookie. The Generals, part of the United States Football League (USFL) franchise, merged with the Houston Gamblers, and Trump owned 50 percent of the new team, which stayed in New Jersey and kept its name. The 1985 season was its last. The 1986 season was canceled due to an antitrust lawsuit against the NFL, and eventually, the USFL folded. Clients have a private jet card and can use it to purchase travel by jet by the hour, and it’s reportedly 30 percent cheaper than the competition. The service is geared towards high-net-worth individuals, who get the privacy and luxury they desire without having to purchase their own private jets. Consumers make reservations through a client management team. 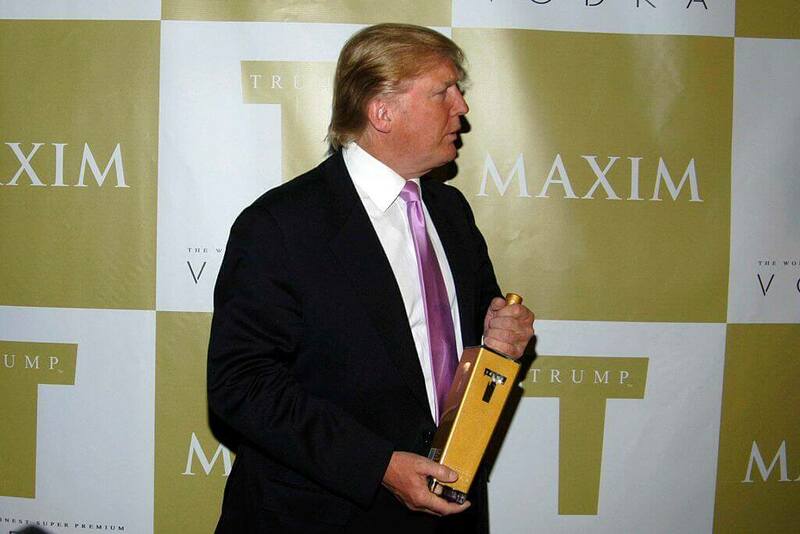 In 2005, Trump partnered with Drinks America to promote Trump Vodka with the tagline: “Success Distilled.” He boasted that it would outsell Grey Goose vodka, and by 2007, 50,000 cases were being exported each year to Russia. The brand was discontinued in 2011, partially because Trump himself didn’t imbibe. It was also costly to produce because the bottle featured gold leaf labels. Trump has more than one fragrance, including Success eau de toilette spray, which launched in 2012. It’s described as containing the following scents: juniper, red currant, coriander, and frozen ginger. Sales of Success and another fragrance, Empire, rose sharply in 2016 while he was campaigning for president. It’s unclear how much Tyson paid Trump for the work. 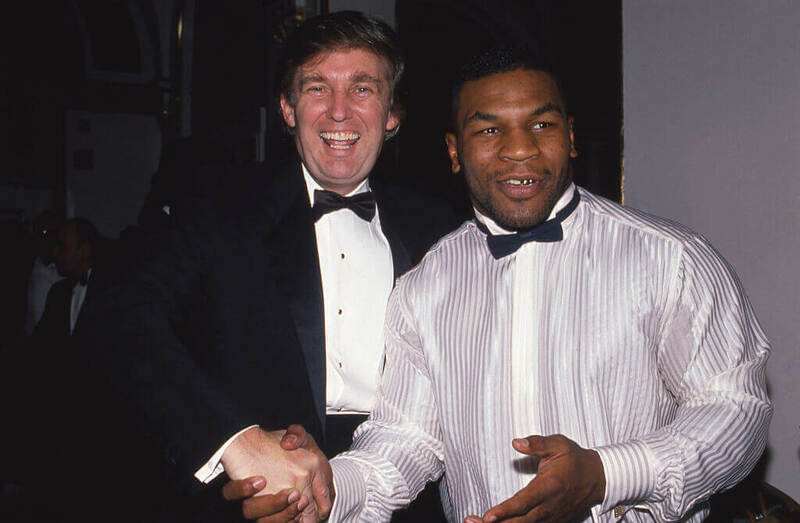 The relationship didn’t last, partially due to rumors that Trump had an affair with Tyson’s wife, Robin Givens. 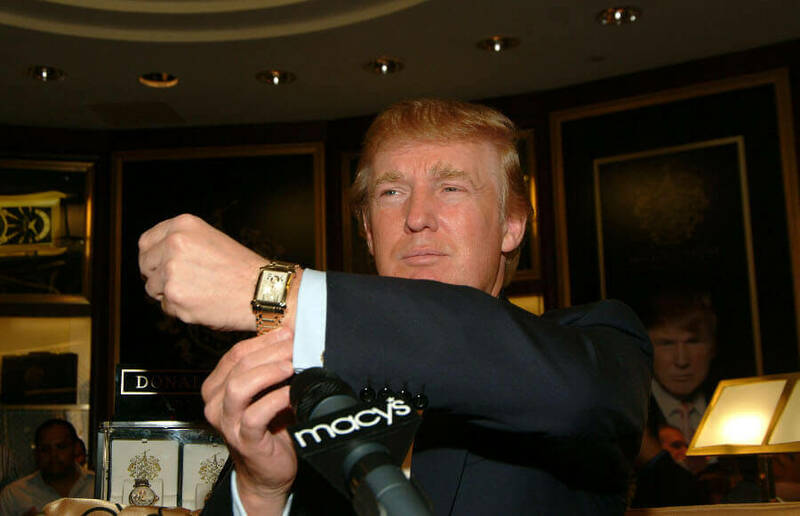 In 2004, Macy’s began selling Trump’s menswear line, which featured $70 dress shirts, $65 ties, and items such as watches and cufflinks. Trump also appeared in many of the department store’s commercials. While the items are still available on the Trump website and Amazon, Macy’s dumped the clothing line in 2015 after the then-presidential candidate called Mexican immigrants rapists and murderers. Macy’s said in a statement: “Macy’s is a company that stands for diversity and inclusion. We are disappointed and distressed by recent remarks about immigrants from Mexico.” Macy’s did, however, continues to sell items from his daughter Ivanka Trump’s fashion line. Trump Home is an offshoot of the Trump Organization that features furniture and a collection of items for the home. The company’s first two lines of furniture launched in 2007. 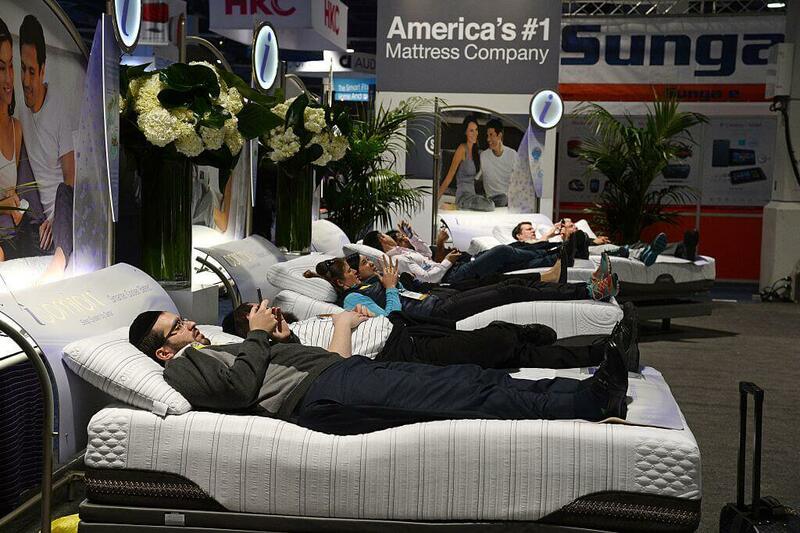 In 2009, Trump Home teamed up with Serta to create a line of mattresses. Trump Home has also produced tabletop crystal pieces, light fixtures, rugs, candles, and bath and bedding collections. Serta also ended its partnership with Trump after he called Mexican immigrants murderers and rapists during his presidential campaign in 2016. Other retailers also disconnected from Trump Home products during his campaign and subsequent election as U.S president. 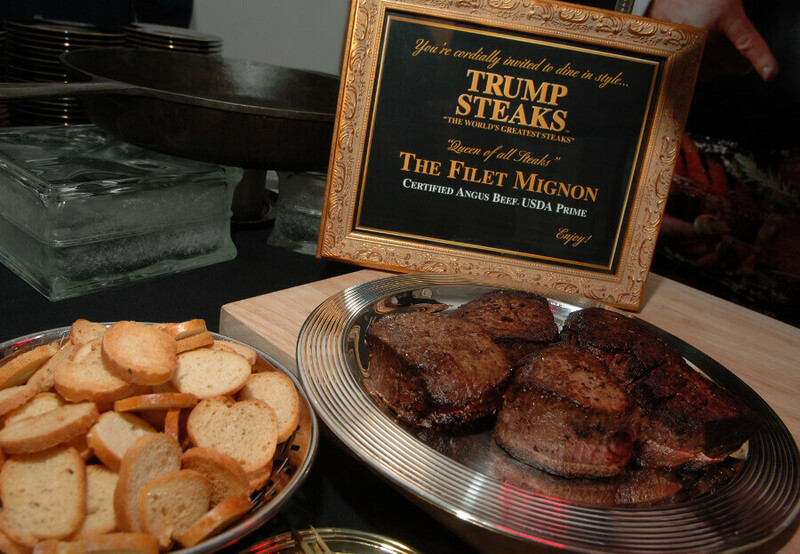 Trump launched Trump Steaks in 2007 through The Sharper Image catalog, stores, and website. Several contestants from his reality TV show The Apprentice also promoted the product. The USDA Angus-certified steaks sold in packages of four, ranging in price from $199 to $999. Trump is the chairman and CEO of Trump Productions, which is based in Los Angeles. He founded the TV production company in 2004, and it is the entertainment business arm of the much bigger Trump Organization. 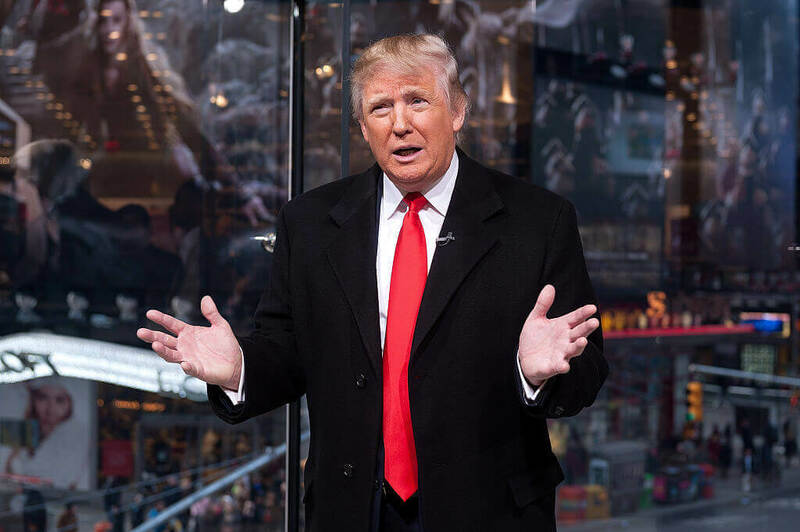 The company produces a variety of TV shows, including The Apprentice, The Celebrity Apprentice, Pageant Palace, and Donald J. Trump Presents The Ultimate Merger. Trump Productions was also involved with producing the Miss USA and Miss Universe pageants until 2015. During Trump’s presidential campaign, Trump Productions was valued at $15 million and had a revenue of over $4 million in 2015 alone. Trump founded the New York City-based modeling agency Trump Model Management (formerly known as “T Models”) in 1999. News that the agency, which Trump owns an 85 percent stake in, was shutting down surfaced in 2017. Model Alexia Palmer sued Trump Model Management in 2014, claiming the agency took 80 percent of her wages for “expenses.” The lawsuit was dismissed two years later. The agency requested visas for 250 international fashion models in 2015, and the following year several former Trump models said they worked for the company without proper documentation. A U.S. senator later called for an investigation into the practice. 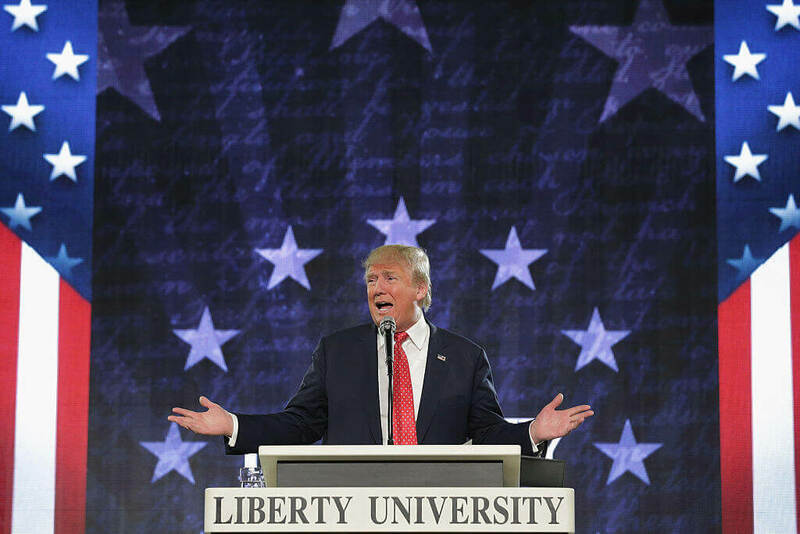 Trump founded Trump University (also known as the Trump Entrepreneur Initiative)with Michael Sexton and Jonathan Spitalny in 2004. The for-profit institution featured courses on asset management, entrepreneurship, and wealth creation as part of its real estate training program. The program was not accredited and did not deliver degrees or college credits. The venture was shut down in 2010 and was steeped in a scandal over illegal business practices. The New York Attorney General’s office filed a $40 million lawsuit against the organization in 2013. A judge found Trump guilty of the charges, and the then-President Elect settled three lawsuits in 2016 totaling $25 million even though he vowed that he would not settle. 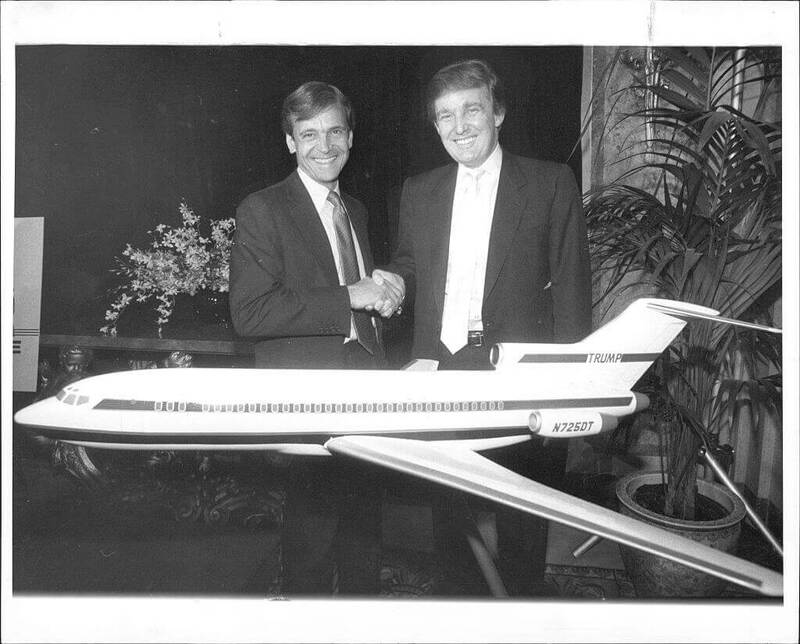 Trump owned an airline named Trump Shuttle, Inc., from 1989 to 1992. The airline featured Boeing 727 aircraft with hourly flights from New York City to Boston and Washington, D.C. The airline also offered charter service to other destinations. An economic recession, an increase in jet fuel prices, and a cut in travel budgets for corporate customers led to its downfall. 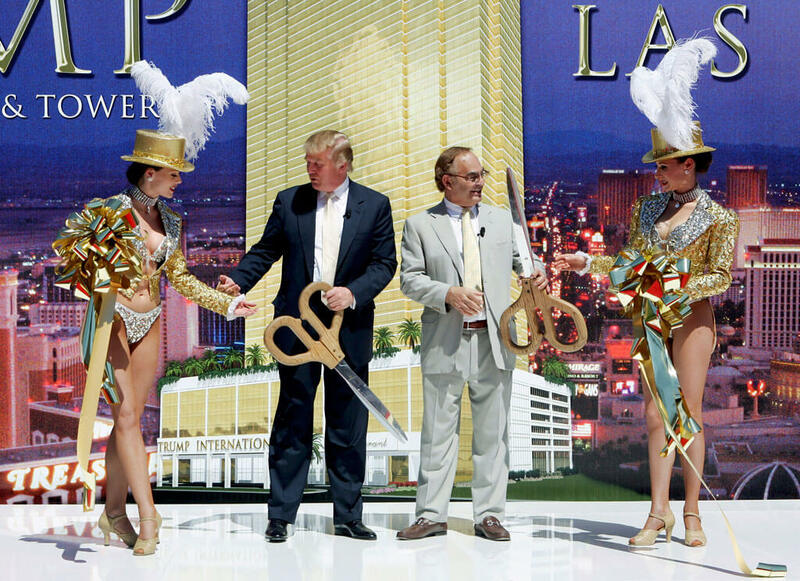 Trump was simultaneously dealing with financial difficulties involving his casino business, and eventually, the airline ran out of money, putting it in debt. USAir took operational control of the Trump Shuttle, and it was discontinued after it merged with a new company, Shuttle, Inc. (USAir Shuttle). Trump allowed his name to be used for the Tour de Trump cycling stage race from 1989 to 1990. The aim was to create a race in the United States that was similar to European cycling races, such as the Tour de France. Not everyone was thrilled with Trump’s cycling race, including anti-Trump protestors in New Paltz, New York. New York City mayor Ed Koch, who considered Trump a “huckster,” also boycotted the race. Trump elected not to sponsor a third iteration of the competition because at the time he was struggling with some financial issues. 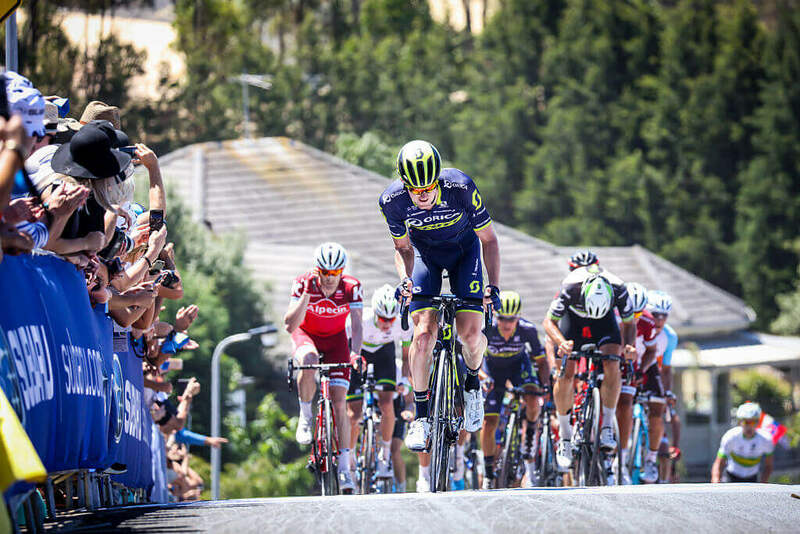 The race continued, however, only under a new name — the Tour DuPont. Trump owned part or all of the Miss Universe, Miss USA, and Miss Teen USA beauty pageants from 1996 to 2015. Miss Universe originally aired on CBS but moved to NBC along with Miss USA in 2002. In 2012, a contestant claimed the show was manipulated, but a $5 million arbitration came out in favor of Trump. When Trump started his presidential campaign in 2015, NBC and Univision discontinued their business relationships with the Miss Universe Organization. Not long after, Trump revealed he purchased NBC’s stake in the company, making him the sole owner of the Miss Universe organization. He then sold it to WME/IMG. 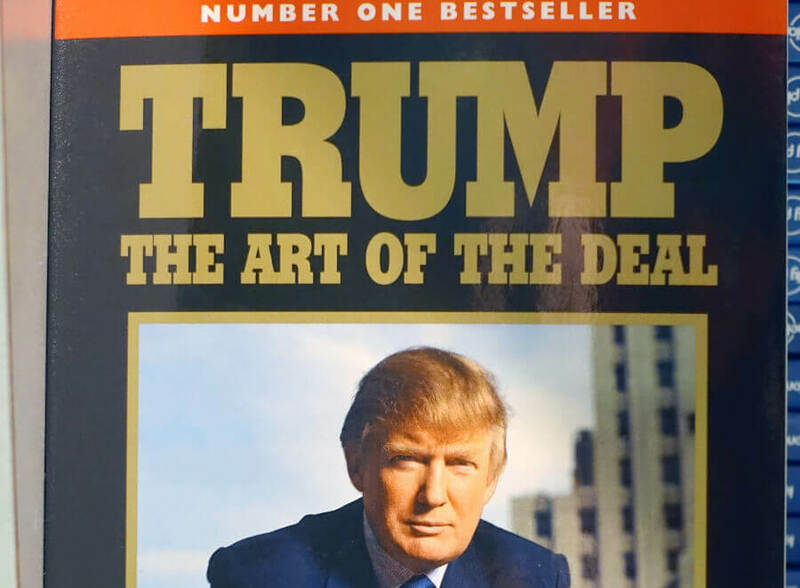 Trump founded the Donald J. Trump Foundation in 1988 with the aim of donating proceeds from his book, Trump: The Art of the Deal (co-written with Tony Schwartz). Money for the foundation came mostly from donors; Trump has not contributed to the organization since 2008. After Trump appeared at WrestleMania in 2007, he received $5 million for the foundation from Linda and Vince McMahon of World Wrestling Entertainment. The foundation has donated to sports-related charities, healthcare, and conservative groups. It was investigated in 2016 for legal and ethical violations and told to stop its fundraising activities in New York state. Trump is a brand, and he has lent his name to various building projects, commercial products, and services. He’s achieved mixed financial results for himself, investors, and other partners. The Trump brand was estimated to be worth $200 million by Forbes back in 2011, although Trump claimed the brand was worth $3 billion. 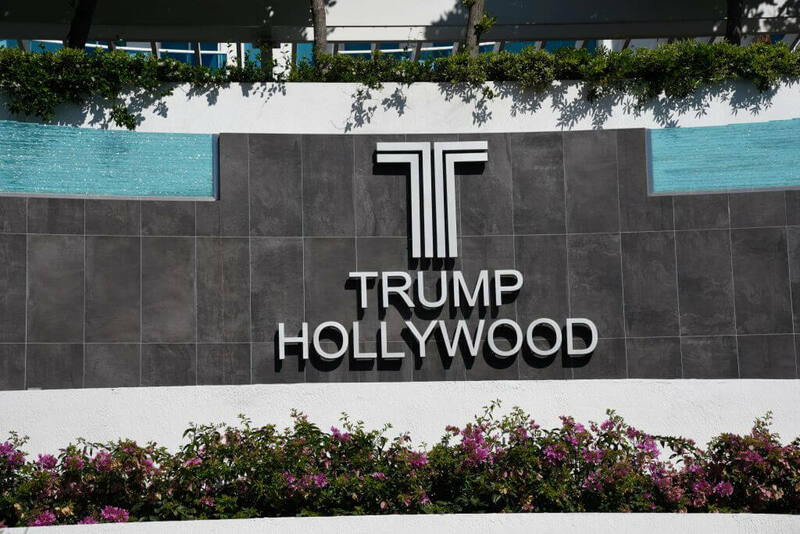 Trump may be the public face of several projects (and is paid well for the marketing) but he does not own many of the buildings that feature his name. 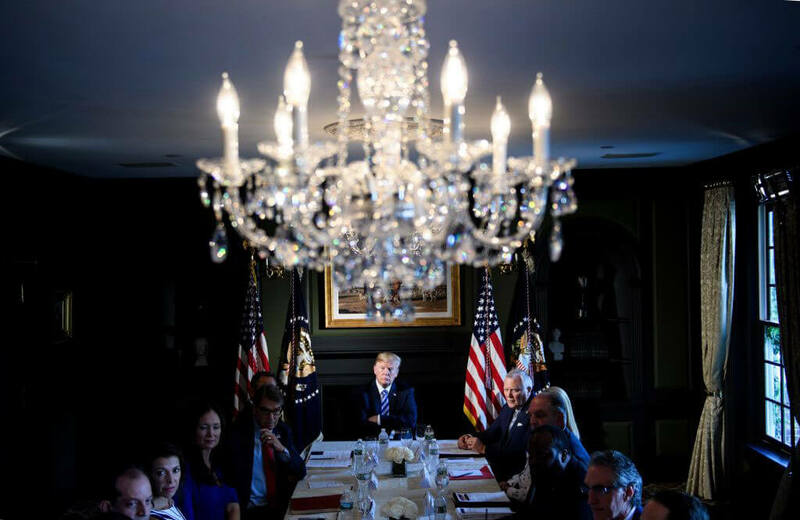 His children run this part of his business, and it was once valued at $562 million before retailers such as Macy’s and Serta mattresses dumped his products during his presidential campaign. In 1984, the hotel/casino Harrah’s at Trump Plaza opened in Atlantic City, New Jersey. He also bought another building in the city from Hilton Corp. for $320 million and turned it into Trump Castle, which his then-wife, Ivana, managed. 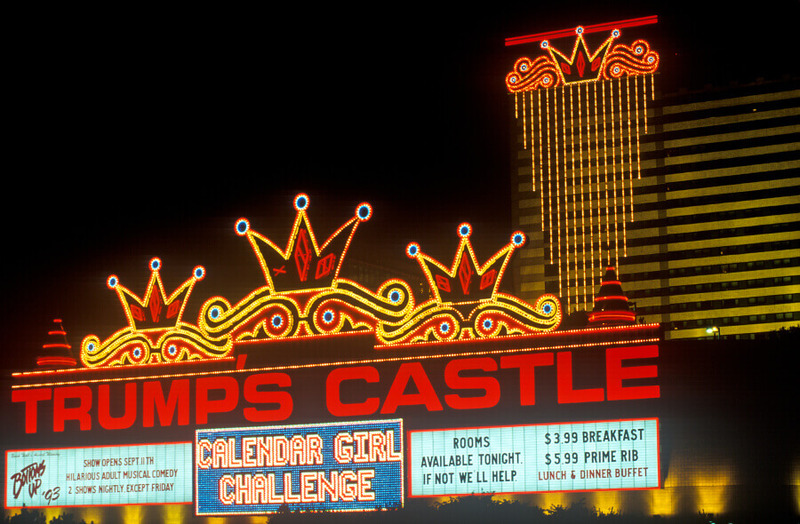 In 1988 he acquired the Taj Mahal Casino, which cost $1.1 billion to build. The Taj Mahal filed for bankruptcy but was saved in 1991, with Trump giving 50 percent ownership to bondholders. It was restructured into Trump Hotel & Casino Resorts in 1996, but the property went bankrupt again in 2004. Eventually, Trump was left with just 10 percent of ownership of the Trump Taj Mahal and other Trump casino properties. Trump manages around 18 golf courses and resorts under The Trump Organization. It’s estimated that his revenue from golf and resorts was $382 million in 2015. He was the subject of a 2011 documentary about building a golf resort in Aberdeenshire, Scotland. He butted heads with locals over its construction and created only 200 jobs despite promising 6,000. He bought another property in Scotland in 2014, the Turnberry hotel and golf resort in Ayrshire, which is regularly used during the British Open. He attempted to build an offshore wind farm in the area but was thwarted. Trump is an avid golfer with a 2.8 handicap.